Whether you’ve just tied the knot or are celebrating a year – or 20 – of marriage, Waipouli Beach Resort and Spa makes for a fantastic place to enjoy a getaway for two. When celebrating honeymoons and anniversaries on Kauai, you’ll get the best of both worlds: pristine beaches for relaxing and tons of outdoor activities for the adventurous couple. 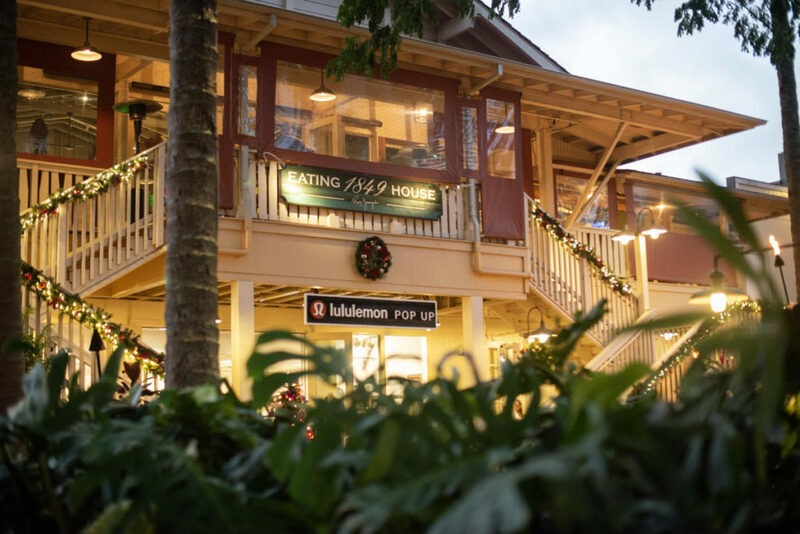 With so many great places to stay and things to do on the Garden Isle, you’ll wish your holiday could last just a little longer. Whether you are read-on-the-beach types or die-hard trekkers, Kauai has tons of romantic things to do that suit all definitions of the word. 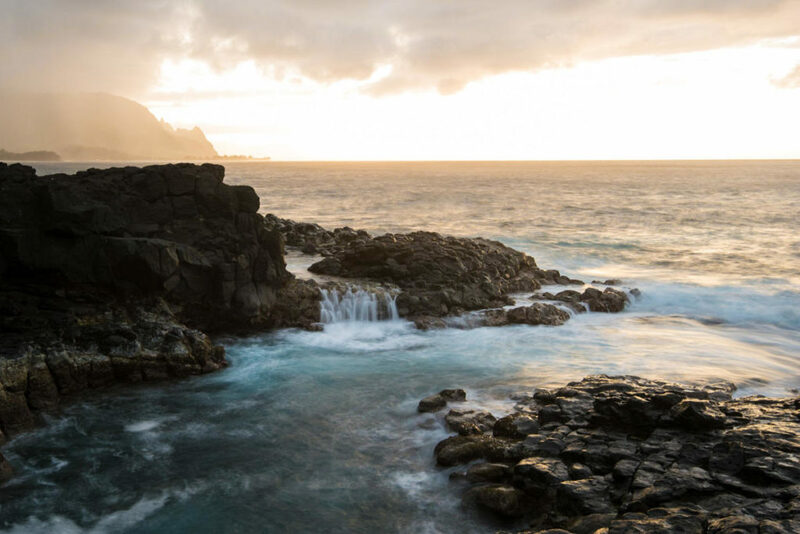 It’s no surprise that Hawaii is known for its beaches – it is, after all, a state made up of a collection of islands with miles of stunning coastline. Kauai in particular boasts exquisite landscape, with sunny, white-sand beaches in the south, and lush foliage and dramatic cliffs in the north. 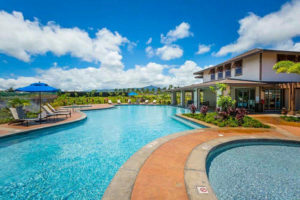 If you stay at Waipouli Beach Resort and Spa in Kapaa, you’ll be about equal distance from both south and north shores. Be sure to visit the south’s Poipu Beach, which features a happening sandy beach and park, and is close to many Kauai resorts, restaurants, and shops. Pick another day to take a drive to Hanalei in the north, which offers remote, quieter beaches surrounded by green foliage and austere cliffs. Both are must-visit beaches for both catching rays and surfing, each offering unique landscape and scenery. Adventurous couples will want to try one of Kauai’s many trails. Trekking in Kauai is one of the most romantic things to do for active couples who want a great view. Climb the Kuilau Ridge Trail, a short, but challenging hike that offers rewarding views of the valley below. The round-trip hike should take about three hours. Sunset cruises might just be one of the most romantic things to do on the island. What better than to cruise the seas as the sky warms with color, hand-in-hand with the one you love? Blue Dolphin Charters offers a stunning, two-hour cruise along Kauai’s south end, complete with cocktails and a bite to eat. For more exciting island activities, we’ve put together a day-trip guide to visiting Waimea Canyon. Hawaiian food is hot these days, with Tiki-style bars and restaurants cropping up all over North America. But there’s nothing like enjoying authentic Hawaiian food on the island itself. Kapaa is a great place to grab lunch because of its variety of food trucks. Try everything from fish tacos to Hawaii’s famous shave ice just steps from Waipouli Beach Resort and Spa. Then grab a coffee at Javai Kai on the main drag, and spend the afternoon browsing the cute shops. Beach House Restaurant in Poipu might be the best place to dine with a view. The stunning beachfront location offers lunch and dinner complete with Hawaiian hospitality and fish from the Pacific. Bar Acuda in Hanalei boasts a creative menu full of locally sourced, tapas-style dishes like sea scallops and Hawaiian Mahi Mahi. 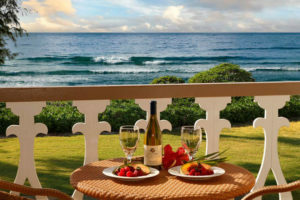 We have a variety of rentals perfect for honeymoons and anniversaries on Kauai. Wailua Riverside Cottages lets you and your spouse stay high up in the trees, surrounded by tropical foliage and colorful flowers. 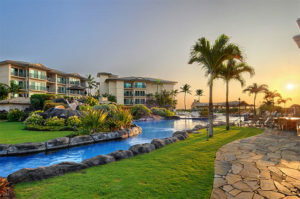 Our Waipouli Beach Resort and Spa offers both elegance and variety, with rentals of all sizes located centrally in Kapaa. Islander on the Beachoffers studio rentals with access to a pool and jacuzzi, as well as outdoor space. 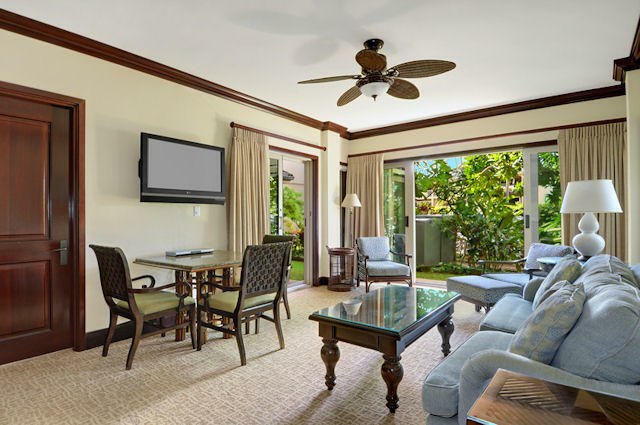 For those who want to spend most of their time on the south shore, Pili Mai Resortin Poipu offers townhouses and condos with stunning views and is surrounded by Kiahuna Golf Course. Getting married on Kauai before your honeymoon? Take a look at our guide to getting married on Kauai. While destination weddings can be of any size, typically they are smaller than at-home celebrations. If you’re looking for an intimate, toes-in-the-sand gathering to tie the knot, we’ve put together a list of the best beaches on Kauai to for a small wedding.